We have not seen each other since our high school graduation day. 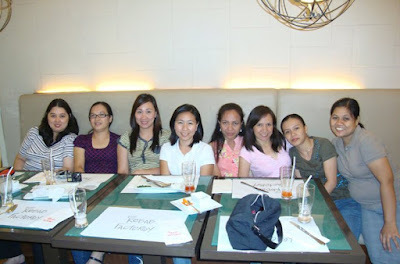 Though most of us studied college here in Manila, we haven't got the chance to meet. 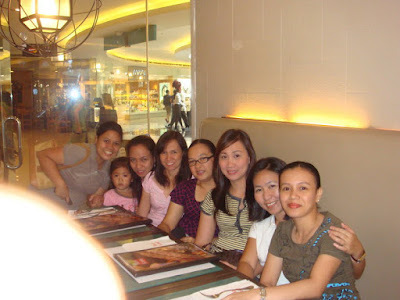 I am referring to my high school batch mates, eight of us met yesterday and we had a great time chit-chatting and reminiscing the old times. 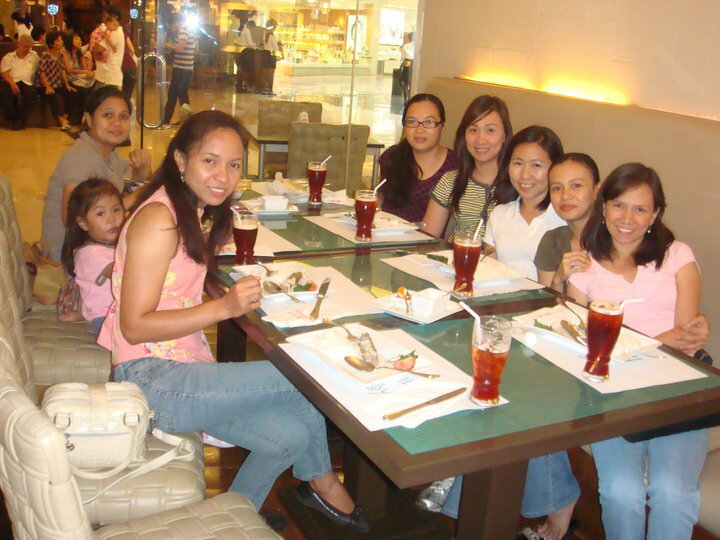 The meet-up is part of the pre-planning activities in relation to our Alma Mater's Grand Alumni Homecoming slated on May 2011. I tagged Thea along with me. instead of being bored because she didn't like the food we ordered she entertained my buddies with her non-stop talking. It's really nice to meet important people whom we haven't seen for ages, right? We are planning to meet again, and hopefully our other classmates/batch mates will join. After our get-together, my sister, nephew, Thea and I went to SM Department Store to buy school bags and shoes. Unfortunately, we didn't find shoes that fit our budget - we'll check the mall near our place anytime this week to complete the kids' school supplies. Thea is so happy with her new Disney Princess school bag that she even ate breakfast this morning wearing it :D.